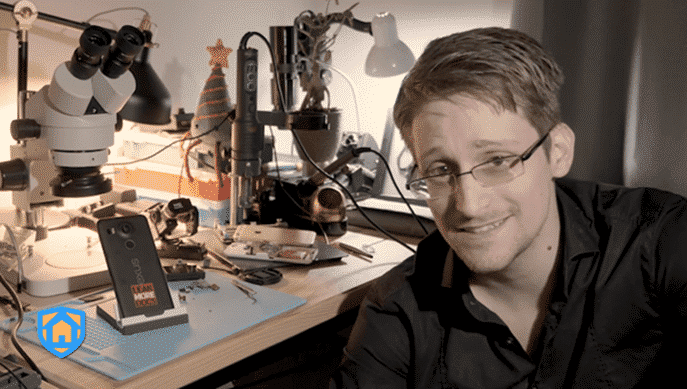 Edward Snowden, a former NSA contractor-turned whistleblower, along with a team of collaborators launched a new Android app on December 22 that is designed to turn smartphones into a surveillance device. Dubbed as “Haven”, this app will especially help those in journalism and activism in protecting their information and shield them from online surveillance and hacking. The software has been developed with The Guardian Project and the Freedom of the Press Foundation. According to its designers, it’s designed to be a “‘safe room’ in your pocket, or way to defeat ‘evil maid’ attacks”. The app essentially powers all the sensors in your smartphone device (such as camera, accelerometer, microphone, etc.) to inform you of any unexpected guests and unwanted intruders invading your personal space be it your bedroom, or a hotel room or even a safe or desk drawer. The app works basically by capturing images and sound when a motion or noise triggers it to turn on and storing everything on the device. It will also send secure notifications of invasions as soon as they occur, and it allows you to access logs remotely anytime. On the Haven page, the app is further explained: “Haven is for people who need a way to protect their personal spaces and possessions without compromising their own privacy. It is an Android application that leverages on-device sensors to provide monitoring and protection of physical spaces. Haven turns any Android phone into a motion, sound, vibration and light detector, watching for unexpected guests and unwanted intruders. Currently, “Haven” is available in public beta version on the Google Play Store and the entire project is available on GitHub and is open-source.